If you’re someone that loves to tackle your problems on your own, then you’re likely the same way with your pest control. With access to the internet, you can pretty much tackle any problem that comes your way. Simply type it into Google, and you’ll come across some solution. Unfortunately, a lot of the solutions that you find online are going to provide you with a mixed bag of results. As a reputable pest control company that focuses our efforts on natural methods of removing pests based on the factors that attracted them there in the first place, we get a kick out of the different DIY pest control methods that we’ve come across. In today’s blog, we’re going to touch on a few common pest control solutions that we’ve heard and provide some insight as to why they aren’t reliable or true solutions to the pest problem on your hands. Let’s dive in! If you read many of the blogs online, you’ve probably heard how unlikely it is to find pests in a house that’s been clean. While a clean house is much less likely to struggle with pests, there is still a chance of finding pests. In reality, there’s no way to entirely remove the chances of pests in your home, but being proactive and minimizing the available resources can drastically alter the likelihood of you crossing paths down the road. By no means are we saying that you should stop cleaning up for yourself or investing in proper storage for your food. We do, however, want to make it clear that while a clean house can help, it won’t entirely eliminate the chances of you finding pests in your house. There are few things worse than discovering bed bugs in the comfort of your own home. Regardless of how large the infestation is, it’s crucial that you understand that there is no way that you can tackle a bed bug problem on your own. These pests are small, and while they are visible to the human eye, their infestations are something that requires professional treatment to truly get rid of. Some of the treatments that we’ve seen around the internet include washing all of your clothes and blankets in the hottest water setting that your washer will allow and steam cleaning your furniture to kill off any left behind pests. Heat treatment is one of the ways that we tackle bed bug infestations, but it’s doubtful that you’ll have access to any device that provides you with the temperature that you need to truly get rid of bed bugs. For that reason, we suggest that you not waste any time and get right to calling your local pest control company. Out of sight, out of mind — right? While the phrase may say that things that go unseen should not be worried about, that’s definitely not the case with pests. Even though you may not see pests regularly in your home (or at all), that does not mean that there’s not a pest problem happening. More often than not, pests are going to be hiding in the hard to reach and infrequently visited places of your home. That means that the chances of them going unseen are much higher than we’d like to admit. While you can certainly choose to go without caring for any pests that might be in your home, we strongly suggest that you look into preventative care techniques and routine visits from your local pest control company. Earthwise Pest Management offers free consultations, so you can easily get a grip on what types of pest problems may be hiding in your home without having to worry about dishing up unnecessary funds. There are so many different products that advertise being a humane method of removing pests. Both roach hotels and self-closing mouse traps promise to provide you with safe and humane means of eliminating pests from your house, but they aren’t exactly efficient. Though they can help you trap pests that are in your house, that’s about all they are good for. At the end of the day, you don’t want to simply remove the pests over and over again. You want to get to the root of the problem to ensure that they don’t come back again. If you’re looking for long-term results, the last thing that you want to turn to is DIY pest control methods. 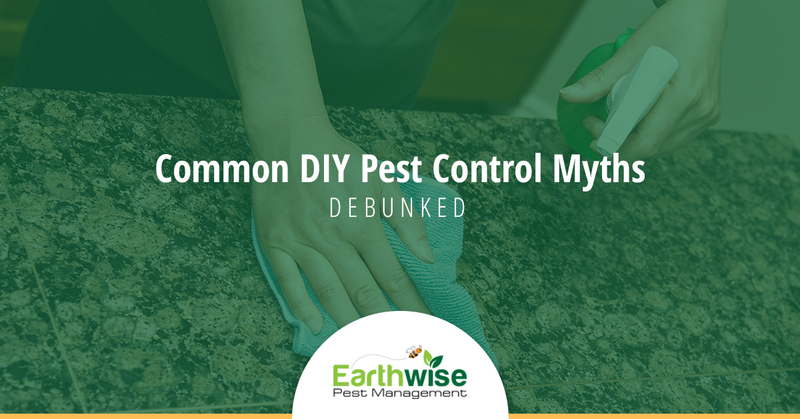 If you’ve tried to handle your pest problem on your own and have realized how unfortunate these DIY methods are, leave it to the team at Earthwise Pest Management. Our years of experience and extensive knowledge of pests makes it easy for us to provide you with the long-term solutions that you’re looking for. Our methods are not only safe, but they yield the results that you’re looking for. Contact our team today, and we’d be happy to schedule your free consultation so that we can determine the services that you’re in need of and start working on the approach that we’re going to take. Let us know if there are any questions or inquiries that we can assist you with.